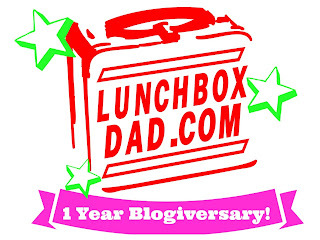 Lunchbox Dad: 1 Year Blogiversary and Giveaway!!! 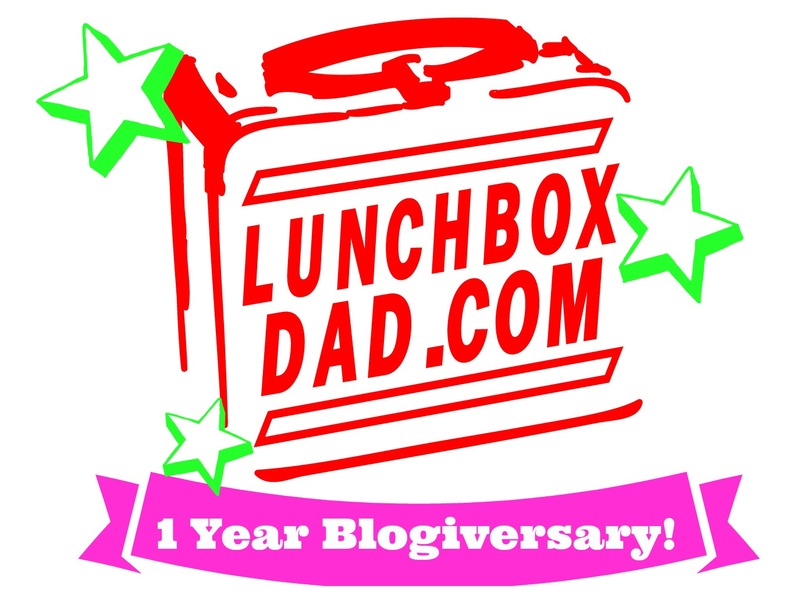 Today is the 1 Year Blogiversary of lunchboxdad.com! 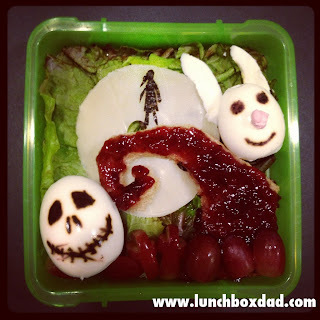 Its weird to think that it has already been a year of making special lunches for my daughter and sharing them here. I love hearing the stories of parents who have been inspired to try different things with their kids lunches now and I am so thankful for the friends I have made through this exciting adventure. Most of all I am thankful for how close this has brought my daughter and I. That was the main purpose to begin with and it has been really fun to experience. 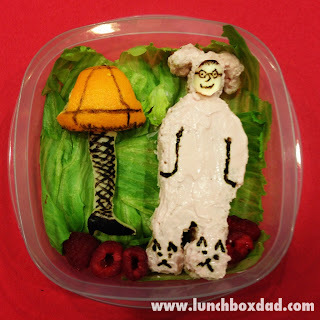 To celebrate the anniversary I am posting some old pictures of lunches that have been my daughter's favorites (and also some of my favorites as well). Also I have a giveaway starting today for a FREE fun prize pack and some other prizes including my eBook! I gave away a ton of products over the last month so I wanted to make this one different. I made some extra fun ways to enter (make sure you read all of them!) as well. So here are our top 10 favorite lunches of the past year (in no particular order), followed by the Rafflecopter entry form for the giveaway! 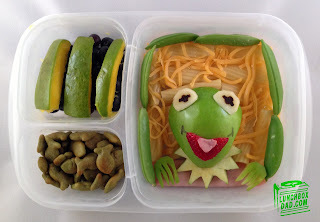 Kermit the Frog from the Muppets, "Its Not Easy Being Green"
Congratulations on an awesome year! Tinker bell is my favorite. Congratulations on your blogiversary and what an impressive first year it has been! 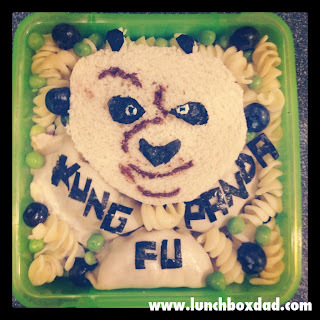 A true star and inspiration for other bento making guys! I love what you do! Thanks for inspiring me to do my best with my Kinder's lunches! I love the Chewie lunch! My son would love to open his lunch box and see that! My favorite? Definitely Nightmare Before Christmas. Though you did a whole lot of awesome! IT's not easy being GREEN!! Happy blogiversary and here's to many more! My favorite so far is Finding Nemo! Happy 1st!! I just love Rapunzel from Tangled, just wow! I liked the review of PlanetBox Shuttle. I like to see reviews on smaller lunchboxes that are easily tucked into pockets/bags for a snack. Like mini boxes or maybe something collapsible if not too hard to clean. My favorite is the Chewbacca lunch!!! I think Nemo's my favorite! How about a water bottle review round up or some fancy pants? Happy Blogiversary!! 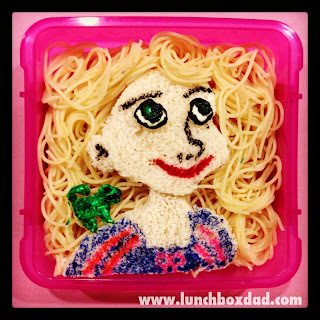 I liked your Tangled Lunch ^^Totally awesome detail for Tangled. 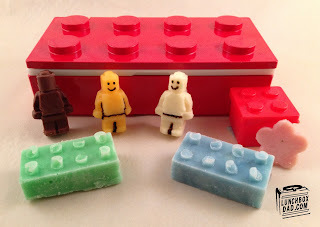 As for favorite review, I liked the EcoLunchbox reviews!! 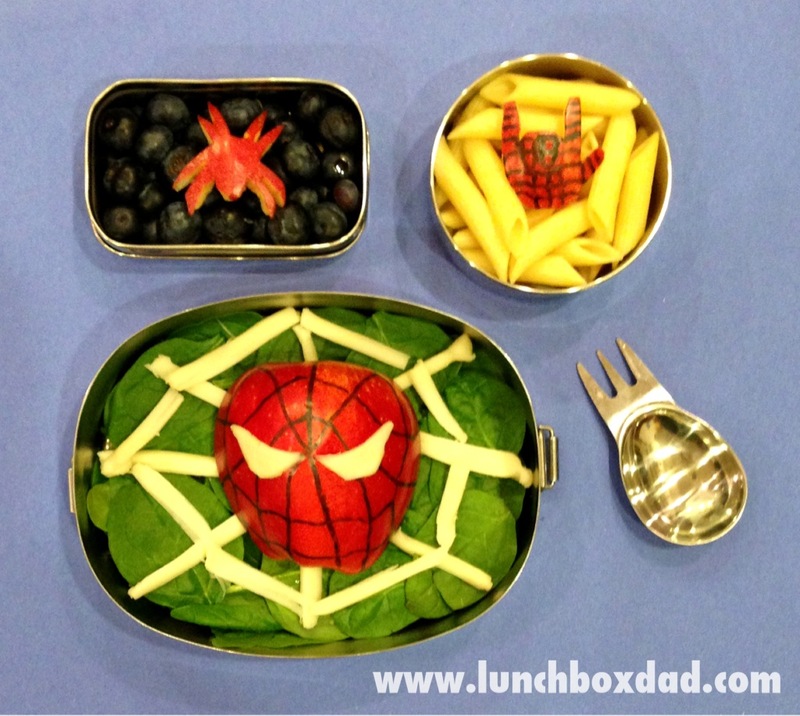 You did a great review and makes me want to try out :) The next products, guess I like to see Monbento reviews ^_^ Lastly, you are amazing dad making lovely healthy lunch for your kids! Thanks so much for the kind words Karen! Happy Blogiversary! 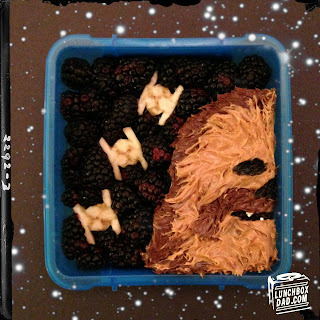 One of many of my favorites from you was the Chewbacca lunch. I still ooh and aah over that one! I'd like to see a review of a collapsible lunch box. I'm always curious to see what peers think of those! I liked the review of the Shuttle! I liked the lego lunch. Lego's huge here at our home. My favourite review would be Go Green lunch box. I've been eyeing it and wondering if it'd be good for the kids. It's next on my list to buy. I'd like to see some water bottle reviews as well. 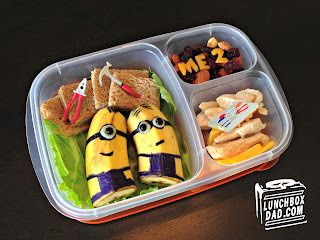 my fav lunch is Despicable me 2!!! I liked the review on the Go Green lunch box, I like that it has a place for the water bottle. you should review the YUMBOX, we have one and love it! OMG, your lunches are ALL SO AMAZING, Beau so it's really hard to pick one favorite. 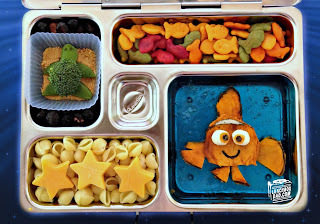 Love the Nemo and kermit lunches!! Oh and congrats! Happy 1 year blogiversary! Chewbacca is my favorite and my daughter's favorite, by far!